In a rare public announcement, Britain’s signals intelligence agency, the Government Communications Headquarters (GCHQ), issued a rare public statement concerning a charge by an American former judge that it conducted electronic surveillance of president-elect Donald Trump after his upset victory on November 8, 2016. GCHQ stated: «Recent allegations made by media commentator Judge Andrew Napolitano about GCHQ being asked to conduct ‘wiretapping’ against the then president-elect are nonsense. They are utterly ridiculous and should be ignored». Its public announcement belied the fact that GCHQ and its four Five Eyes partners have spied on each other’s citizens as a legal «work around» to their national laws designed to prevent such domestic eavesdropping on citizens by their respective agencies. In the U.S., domestic surveillance orders are issued by a special Foreign Intelligence Surveillance Court (FISC), pursuant to the 1978 Foreign Intelligence Surveillance Act (FISA). The other nations, the UK, Canada, Australia, and New Zealand, have similar restrictive laws in place. Such spying took place against two British Cabinet members in 1983 by Canada’s SIGINT agency. Former Canadian Communications Security Establishment (now known as Communications Security Establishment Canada or CSEC) officer Mike Frost said that Margaret Thatcher used the five-power global surveillance network to spy on two of her Cabinet members because she did not believe they were loyal in supporting Thatcher’s policies. Frost told CBS’s «60 Minutes», «[Thatcher] had two ministers that she said, ‘They weren’t onside’… so my boss went to London and did intercept traffic from those two ministers». Frost confirmed that the five countries could circumvent domestic laws against spying on citizens by asking another member of the alliance to do it for them. One of the British ministers spied upon and then fired by Thatcher after her resounding re-election in 1983 was Foreign Secretary Francis Pym, a Conservative Party moderate who, ironically, was also in charge of GCHQ and the MI6 Secret Intelligence Service. The other was Deputy Prime Minister and Home Secretary William Whitelaw, who was moved to be Speaker of the House of Lords, an insignificant position. In 1998, it was revealed by Margaret Newsham, a former Lockheed contractor for the National Security Agency, that the GCHQ and NSA were involved in warrantless surveillance of U.S. Senator Strom Thurmond’s overseas phone calls. In the early 1970s, NSA and GCHQ reportedly cooperated in conducting warrantless eavesdropping on the communications in New York City of Beatles singer John Lennon. The Canadian agency also eavesdropped the car phone of the U.S. ambassador in Ottawa, with NSA liaison officers fully aware of the espionage. In the 1960s, when French President Charles de Gaulle made common cause with the independence movement of French-speaking Quebec, the Canadians had the Norwegian, Danish, and Swedish SIGINT agencies («THIRDPARTY» members of the five-party SIGINT alliance) conduct surveillance of communications between Paris and the Parti Quebecois Premier of Quebec Rene Levesque and his separatist movement. During the 1980s, the Canadians were used by NSA to conduct «black bag» surveillance, including breaking and entering into the homes of U.S. citizens believed to be working with the Soviets. It was a work-around designed to circumvent the lack of evidence, which made a court order from the FISC nearly impossible to obtain. In the late 1990s, NSA eavesdropping devices were discovered in email routers located in the European Parliament headquarters in Brussels. Among the email being intercepted was that of British Members of the European Parliament. In 2015, New Zealand’s then-Prime Minister John Key was placed under surveillance by the Australian Signals Directorate (ASD) in Canberra. The transcripts were not only passed on to Australia’s government and the NSA, but also to the New Zealand Government Communications Security Bureau (GCSB). The Australian eavesdrops detailed Key’s negotiating stance with regard to Pharmac, the government’s drug purchasing agency, and the Trans Pacific Partnership (TPP) trade deal. In December 2016, Key abruptly resigned as prime minister for «personal reasons». Asian trade negotiations also resulted in the ASD conducting surveillance of the Chicago-based law firm Mayer Brown on behalf of NSA. In 2013, Mayer Brown was representing the government of Indonesia in trade talks with the Unites States. GCHQ also owes the United States a few favors. in 2007, the U.S. Defense Department, which oversees the NSA, confirmed that the NSA did «download [Princess] Diana’s conversations» in the years before her death in 1997, but insisted it was only part of a security operation involving «other targets». British law prohibited GCHQ from monitoring Diana, so the NSA gladly conducted the surveillance on behalf of its British counterpart. Legal work around surveillance operations are detailed in a 2005 Secret NSA draft directive, titled «Collection, Processing and Dissemination of Allied Communications,» which was revealed by NSA whistleblower Edward Snowden. The draft states, «[The 1946 UKUSA] agreement has evolved to include a common understanding that both governments will not target each other’s citizens/persons. However, when it is in the best interest of each nation, each reserved the right to conduct unilateral COMINT [communications intelligence] action against each other’s citizens/persons… Under certain circumstances, it may be advisable and allowable to target second party persons and second party communications systems unilaterally when it is in the best interests of the US and necessary for US national security… Such targeting must be performed exclusively within the direction, procedures and decision processes outlined in this directive… There are circumstances when targeting of second party persons and communications systems, with the full knowledge and co-operation of one or more second parties, is allowed when it is in the best interests of both nations. This targeting will conform to guidelines set forth in this directive». At a meeting of Five Eyes agencies at GCHQ headquarters on April 22-23, 2008, it was agreed that the five agencies would share their intercepted bulk data with one another, even if it includes their own citizens. The Australian Defense Signals Directorate (DSD), now the ASD, showed the least concern about its citizens being caught up in bulk data sharing. The Australians also appeared willing to share intercepted data with «non-intelligence agencies, for example, the Australian Federal Police. 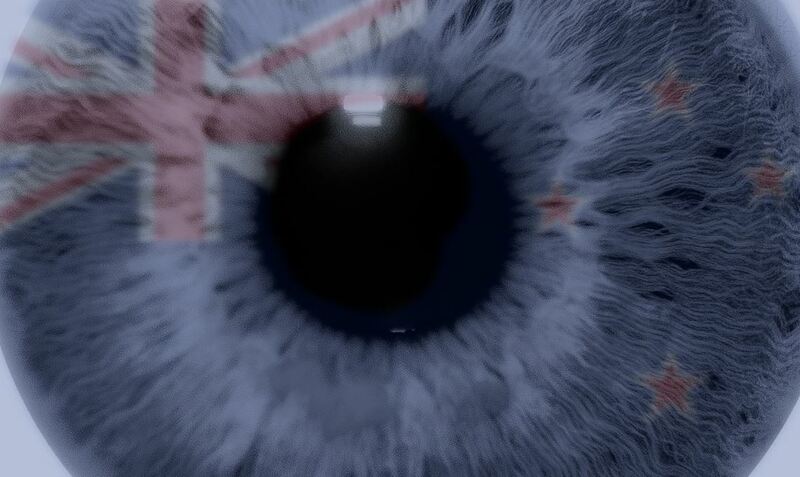 The targeting of other Five Eyes partners was carried out by the CSEC during the G20 summit in London in 2009. Members of the delegations of Canada, the United States, and Australia saw their cell phone and email communications intercepted by CSEC eavesdroppers who conducted their operations on British soil. A document classified TOP SECRET STRAP 1 states the inter-Five Eyes eavesdropping was conducted by CSEC on behalf of GCHQ to «ensure that intelligence relevant to HMG’s [Her Majesty’s Government] desired outcomes for its presidency of the G20 reaches customers at the right time and in a form which allows them to make full use of it». A similar legal work around occurred during the 2010 G8 and G20 summits in Toronto. There, a special NSA surveillance operation conducted at the U.S. embassy in Ottawa targeted the communications of members of the Canadian, British, and Australian delegations. At the same, the CSEC, from its headquarters in Leitrim, outside of Ottawa, intercepted the communications of American, British, and Australian delegates. Technically, no laws were broken. The GCHQ and the British government have cried foul over reports they surveilled Trump’s transition team on behalf of the Obama administration. However, there is a wealth of historical information on such cooperation between the Five Eyes. The fact that GCHQ squawked publicly about it being implicated in political eavesdropping makes it more likely that it was caught red-handed. GCHQ and its partners have come a long way from simply offering «no comment» to such press accounts.